UP AC4400CW 6666 leads two other units on a Sheboygan-bound coal train. 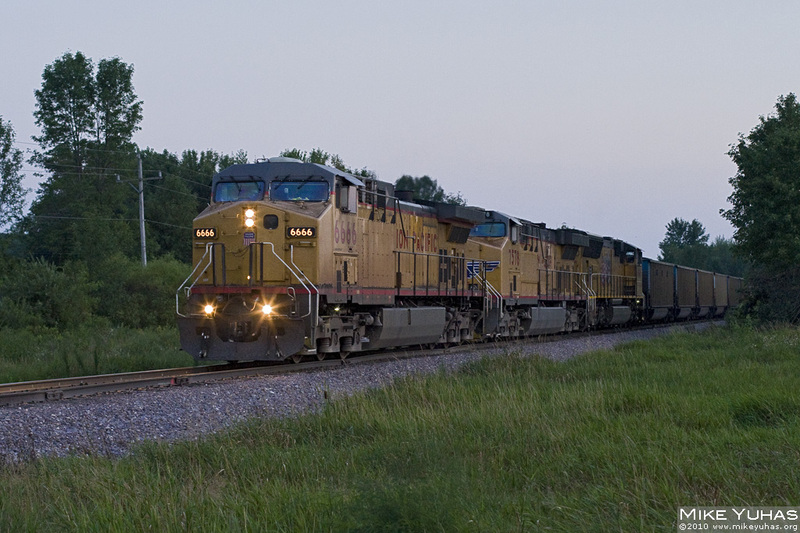 The third unit is an SD70, which is rare on the Shoreline Sub. It's also unusual to see three units at the head end of coal trains around here. Another unit is on the rear shoving in DPU mode.